It is not unusual for people to bet on the Super Bowl. After all, it is the biggest game of the year and the final game of the season. So, if you are going to put something on a game, this is the one. Of course, for many, it could be a friendly wager between friends, family, or co-workers. However, for many, it has meant contacting your local bookie to get in on the action, but not anymore. With many states legalizing gambling on sports, it is a lot easier to place a legal bet now—which will likely encourage even more people than usual to do so. According to a recent survey released by the American Gaming Association, a staggering $6 billion is expected to be wagered on the Super Bowl (legally and illegally). The $6 billion mark is a significant increase in the estimated $4.76 billion wagered on Super Bowl LII last year. Estimates for Super Bowl LI ranged from $4.5-4.7 billion. According to the survey, close to 23 million people will be placing a wager on the game with close to two million expected to still engage in some form of illegal gambling. Miller pointed out that the survey results are proof that illegal gambling is still an ongoing issue and encouraged the appropriate government bodies to enact legislation to make legal gambling more accessible. What will be even more interesting to see is how much money is bet legally this year with gambling being legal in more states since the Supreme Court struck down the Professional and Amateur Sports Protection Act of 1992 last year. While $4.8 billion was bet on the game last year, only $158.6 million of it legally. The year before, only $138.5 million was bet legally. Dustin Gouker of PlayNJ.com has estimated that a million people will bet $100 million on the Super Bowl in New Jersey and that $325 million will be legally bet this year. Betting on the outcome will likely always be the most frequent wager, some sportsbooks are offering hundreds of prop bets for fans to gamble on. Odds are offered on things like who will win MVP, the length of the National Anthem, the color of the Gatorade dumped on the winning coach, whether a halftime performer is going to take a knee, and so much more. 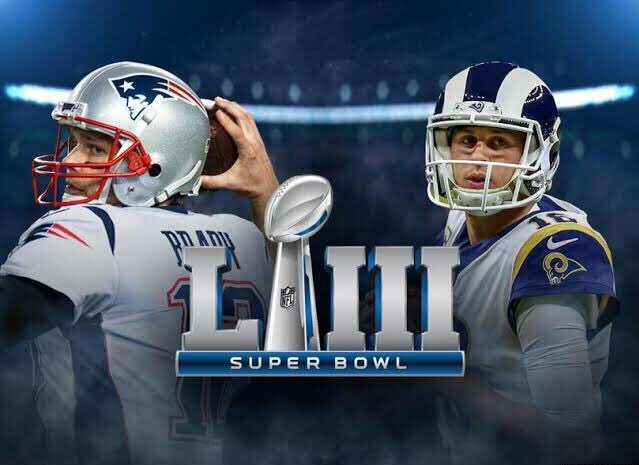 While there have been reports about the amount of money being wagered on the Patriots, according to the survey, about 52 percent of gamblers are backing the Rams with 48 percent getting behind the Patriots. But according to an ESPN report on January 25, 96 percent of the money wagered at the MGM was on the Patriots. At William Hill, the amount was closer to 86 percent. That must mean that there are a lot of Rams supporters that have yet to put their money down.